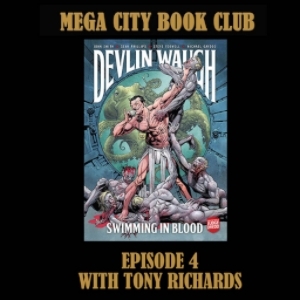 Podcast becomes pubcast as I'm joined by Tony Richards in a London hostelry for a brief discussion of Devlin Waugh's debut in Swimming in Blood. Prepare yours ears for a trouncing. Check out Tony's radio show at Radio Dacorum or on Mixcloud. And get your copies of Devlin Waugh's outrageous exploits from the 2000AD online store.